Donald Trump comes just short of announcing his choice for Secretary of State. A very good choice! In an interview with Hugh Hewitt today, Donald Trump hinted that he is seriously considering John Bolton as Secretary State. 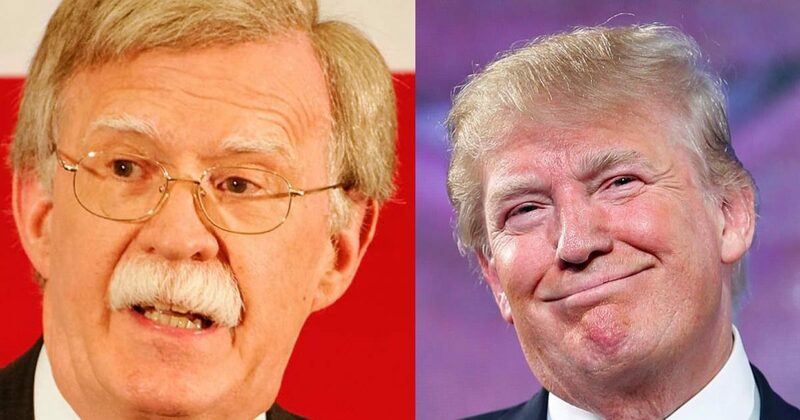 Bolton would be a very good choice, second only to Newt Gingrich, in my opinion. In the audio, below, beginning around the 3:00 mark, The Donald makes this surprise announcement. Trump was quick to point out that making the announcement too early subjects the candidate to an invasive media rectal exam, poking and probing to generate sensational news at the expense of the candidate, which is true. It is smart to make cabinet appointment announcements after the election.